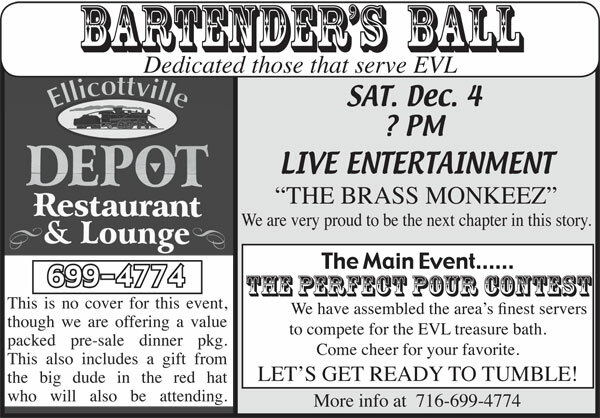 Bartenders Ball at the Ellicottville Depot, Saturday December 4th. HD170 External Microphone and Low Light Mode from Drift Innovation on Vimeo. 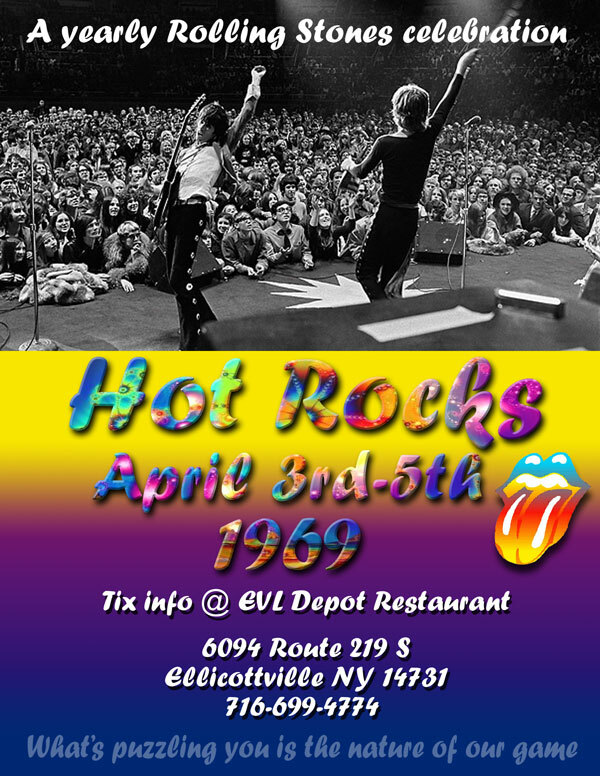 Insane footage surfaced on YouTube from the 2010 Rolling Stones Weekend April 9-10 Rolling Stones tribute weekend at The Ellicottville Depot. 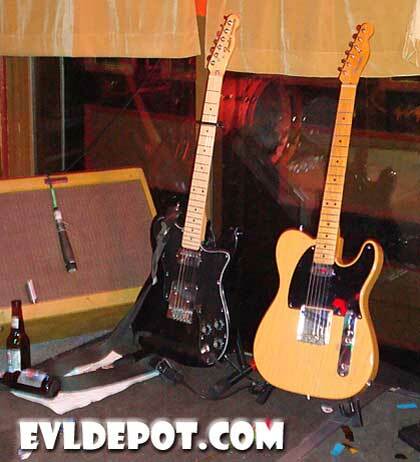 The Glimmer Twins, Bernard Fowler and Waddy Wachtel. Epic performances both nights. The Glimer Twins on Friday night. Bernard Fowler and Waddy Wachtel on Saturday night. 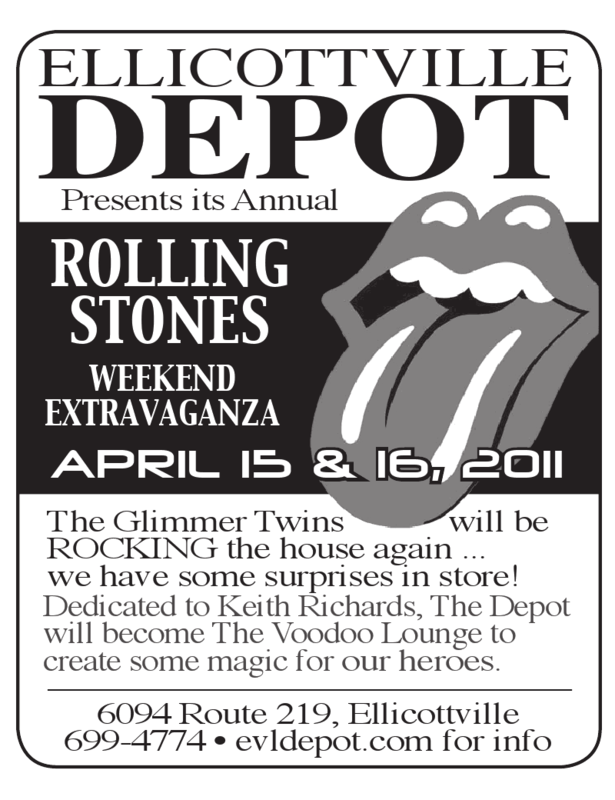 Come to Ellicottville and grab so sick deals on the deck of the Depot. We’ll be open for business with sale pricing on select summer and winter apparel. 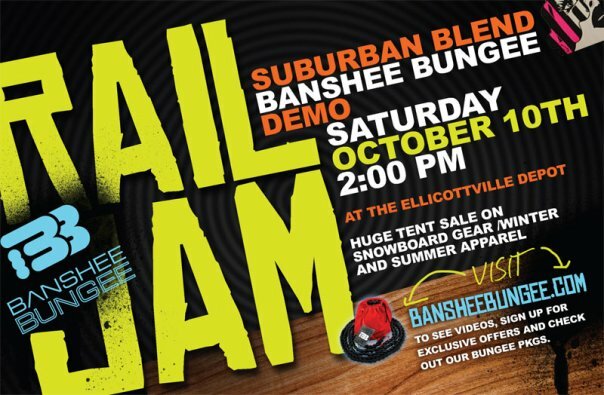 Check out the bungee demo at 2pm on Saturday. Live music both nights with the latest snowboarding flicks playing on the big screen during the day and during dinner. 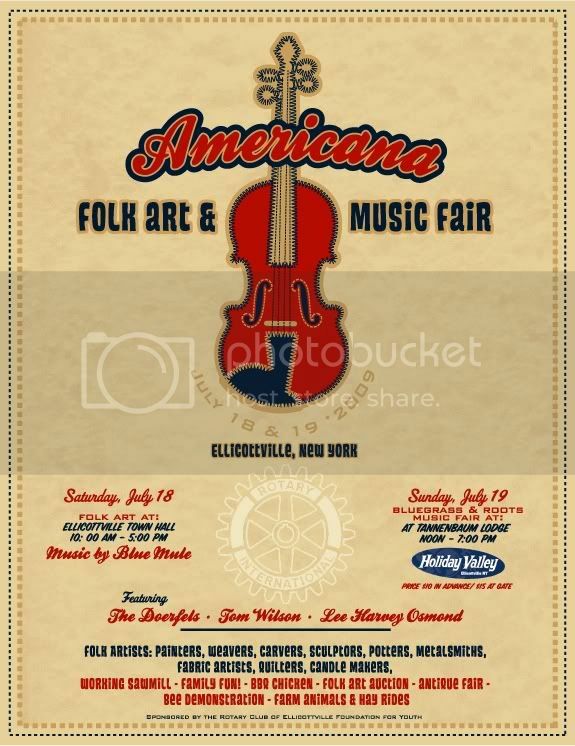 A festival in Ellicottville is a boutique experience, wander through the village and choose from a variety of Jazz performance areas ranging from restaurants, bars & nightclubs, street-side, and the Village Square..
Ellicottville has the shops and all the facilities you’d expect in an international class resort, the village is self-contained – all of the venues are within easy walking distance of each other – so after you arrive, leave the car and enjoy the fresh mountain air on foot. Outstanding accommodations for all budget levels are located in the Village or within walking distance. Keep checking this site for a complete listing of this years featured performers. Description: It\’s hard to believe that Holiday Valley can be even more fun, but wait \’til you come to Winter Carnival 2009! 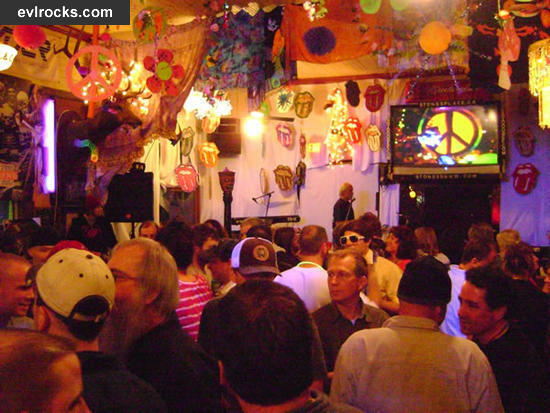 Events take place on March 14 and 15 thoughout the resort and in the Village of Ellicottville. Bring your skis and snowboards. See how it turned out on EVLrocks!